The early bird catches the worm! Get started on your holiday fun and beat the crowds this weekend. We've rounded up a bunch of holiday season-centric events that will make the whole family happy. It's Brookfield Place's opening weekend at the skating rink. The Holiday Train Show at Grand Central is back and choo chooing into the station for all to see. The New York Hall of Science is hosting Gingerbread Lane and a special kids workshop on Sunday where kids can build their own gingerbread house. Have Star Wars fever? Go check out costumes from the franchise at the Discovery Times Square. Happy Diwali to those who celebrate. Here are this weekend's picks. Trains! Trains! And more, Trains! As the sweet smell of gingerbread begins to mix with the latent smell of pumpkin spice, the holiday season steamrolls forward with the return of some annual favorites. This week, we’ve got three holiday train shows opening up in NYC. But that’s not all. We’re also celebrating Veteran’s Day this week. It’s time to take a moment and remember the sacrifices of all of those who have served their country. What else is on deck for the week? How about a vivacious dance show from Havana, Cuba?! We’ll be checking out Afro-Cuban fusion dance and music at the New Victory Theater, while getting ready for this year’s Radio City Holiday Spectacular. Here is the week ahead. Smash your pumpkins and get ready for the upcoming holiday and winter season. Start getting festive with Diwali events. Diwali is the Hindu celebration Festival of Lights. The Asia Society is hosting a Diwali family day on Saturday. The Rubin Museum of Art is hosting a family day on Sunday. Head to pumpkin smashing events all over the 5 boroughs to smash and compost your pumpkins, enjoy refreshments and prizes. Get ready for winter by choosing a new winter sport to take part in. Lakeside in Prospect Park is hosting a "try for free" day with ice skating, hockey clinics and more. Concerts, workshops and shows round out this weekend's events. Here are this weekend's picks. November 11th should not be treated as just another day off from school or work but as a day dedicated to the members of our military and veterans of foreign wars. The city offers many opportunities to celebrate the service of others and to spend time with family. Here are some great ways to spend your upcoming Veteran’s Day. As we wave goodbye to Halloween and Dia de los Muertos, the holiday season starts to move into full swing. It won’t be long before we’re knee deep in Nutcracker performances and holiday train shows. But for now, we can enjoy a few more pre-holiday activities. This week, we’re checking out a Master Puppeteer at Symphony Space, watching Charlie Brown and Snoopy at the movies, enjoying Spanish melodies at BAM and learning about the famous composer Franz Schubert through a whimsical musical. We’ll also celebrate the 75th Anniversary of Fantasia, take a journey inside the secret world of the human body at AMNH and create a stop motion video at the New York Hall of Science. There’s a lot to do in NYC. Here is the week ahead. Welcome to the EEK-end! Halloween is finally here. All of NYC is celebrating with costumes, parades and of course treats galore. There are many Dia de los Muertos (Day of the Dead) celebrations happening this weekend as well. The Halloween fun doesn't stop on Sunday either! Rolie Polie Guacamole is having a day after Halloween costume party and show in Brooklyn. And Isham Park in Inwood is hosting a post-Halloween pumpkin pageant. Pumpkins will be lit up at dusk and they even compost the pumpkins afterwards. A special "good luck" to all of the marathon runners on Sunday. And don't forget that Daylight Savings time ends this weekend so don't forget to set your clocks back 1 hour Saturday night. Happy Halloween to all. Here are this weekend's picks. Once every few years, Halloween falls on a weekend. 2015 is one of those years. 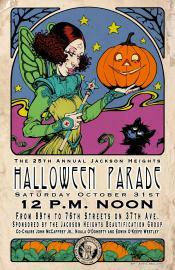 On October 31, families around NYC will enjoy trick or treating as well as a myriad of costumed festivities. This week, we’ll be celebrating Halloween with a band from New Orleans, joining Hansel & Gretel on a puppet adventure through Central Park, visiting Luna Park for a few Coney Island treats and stopping by Boo at the Zoo one more time. We’d like to wish all our family readers a very Happy Halloween! If you're not in the Halloween spirit hit snooze on this weekend! This weekend is filled with pumpkins, costumes and events that celebrate everything Halloween. Highlights include the Coney Island Halloween parade, the Haunted High Line Halloween and the Halloween Parade and Pumpkin Flotilla in Central Park. There are also events celebrating Dia de Los Mueurtos a Mexican holiday which honors the lives and memory of loved ones who have died. The New York Botanical Garden is hosting an all weekend celebration for this holiday in conclusion with the run of the Frida Kahlo exhibit. So get your costumes ready for this weekend which is turning into the ultimate pre-Halloween party weekend! Here are this weekend's picks. If your kids are anything like mine, they probably start brainstorming their Halloween costumes on the candy-fueled afternoon of November 1st. So much time, energy and enthusiasm goes into this fun holiday that it seems like a letdown to only don their costumes for one night and maybe a class party. Fear not! The city offers many opportunities to get into this year’s haunted holiday. Get ready for two weeks of Spooktacular festivities. As we creep closer towards Halloween and Dia de los Muertos, New York City is pulling out all of the stops to celebrate these two festive occasions. This week we will be heading to the Mount Vernon Hotel and Museum to enjoy an evening of Murder Mystery and exploring the haunted side of Brooklyn Heights. We’ll also be celebrating the 22nd Annual Family Party at AMNH and learning how to make ghostly goo and other Halloween crafts at the Sony Wonder Technology Lab and the New York Hall of Science. Here is the week ahead. How do you get to Carnegie Hall? Practice, practice, practice! This weekend Carnegie Hall is having a fall family weekend filled with workshops, sing-a-longs, performances and more. After you make it to Carnegie Hall, you can travel to China and Italy at the same time! Help celebrate the rich cultures of both countries at the 7th Annual Marco Polo festival. The festival features a breathtaking pageant procession through the streets, performances, dancing, acrobatics and more. There are also fall harvest festivals galore! Dia de los Muertos at El Museo del Barrio. And fall favorite, Honey Weekend is back at Wave Hill in the Bronx. Get buzzed for the weekend! Here are this weekend's picks. We’re getting closer to Halloween. 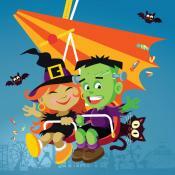 Boo is in the air and lots of scary activities are on deck. Families can look forward to quirky and creepy activities. R.L. Stine’s Goosebumps makes its way to theaters this Friday and a Gruffalo will invade the New Victory Theatre on Saturday. If you’re shying away from some of the ghostly festivals around town, you can enjoy lots of other activities, including: Honey Weekend, Kids Fest, dance and timeless animated films. Here are our picks for the week ahead. Celebrate the spirit of exploration and get inspired by Christopher Columbus’s 1492 expedition, and then explore and discover fun events with your families all over NYC! There are plenty of activities happening such as the new exhibit: Superheroes in Gotham taking place at the DiMenna Children's History Museum on Saturday, Sunday and Monday. There are wonderful Harvest Festivals taking place in Harlem and Manhattan. The Cooper-Hewitt Museum invites you to explore and celebrate National Design Week at their two-day family festival for design lovers of all ages. Or chill out and discover how to relax with a family film in Staten Island on Monday. A special screening of Goosebumps is taking place at the Snug Harbor Cultural Center with ghost tours, spooky snacks and a Q&A with the director and actors in the film. 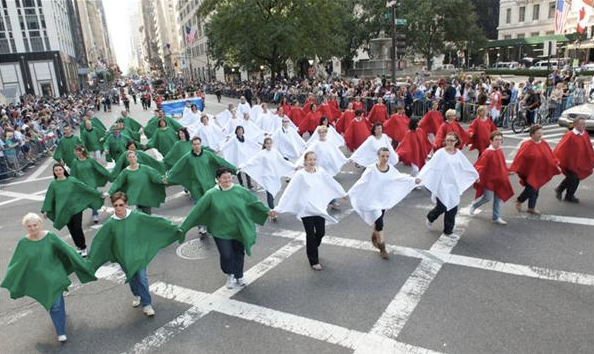 And of course there are Columbus Day Parades in Manhattan and Queens to round out the weekend events. Enjoy the long weekend! Here are this weekend's picks. The scent of pumpkin spice is in the air, signaling the countdown to the holiday season. That means it’s time to make these last three months of 2015 count! This week heralds two great events: New York Comic Con and National Design Week. Comic, sci-fi and fantasy genre fans will converge on the Javitz center for a weekend of entertainment and community sharing. If you haven’t had a chance to pick up tickets to NYCC yet, have no fear. There are plenty of other activities around the city to take part in, including the Muppet Vault. This event highlights the geeky and comic book side of Muppet culture. Tickets are still available. There will also be a new superheroes exhibit opening at the New York Historical Society and a Pixar exhibit at Cooper Hewitt, Smithsonian Design Museum. It's officially October, time to welcome all things pumpkin, sweet and costume-y. Luckily there are plenty of events that help you get in the spirit this weekend. Boo at the Zoo at the Bronx Zoo is back all weekend long, filled with tons of creepy, crawly things and lots of fun for the whole family. The 49th Annual Ragamuffin Parade is once again taking place in Brooklyn. Every kid who registers and marches gets a gift. Of course the judges are also there to award the best costume, so get creative! The 9th Annual Oktoberfest Festival is taking place in Sunnyside Queens with an arts and crafts fair and their huge pumpkin patch as well as wine, beer & bratwurst in their picnic grove. If you enjoy your "dress up" and costumes to be really old school then head to the Medieval Festival in Fort Tyron Park. The festival brings to life the customs and spirit of the Middle Ages. Be sure to dress yourself up with a smile this weekend, it's the best accessory after all! Here are this weekend's picks. **Please check the events carefully, some might be cancelled due to inclement weather. We see the Statue of Liberty all of the time. We gaze at it while crossing our bridges, we see it plastered all over postcards and T-Shirts in Mid-town or many times, we just see it used in a commercial. And every once in awhile, the thought of bringing your kids probably crosses your mind. Sure, you can wait for them to see it on a mandatory school trip, but why not make it a family outing. 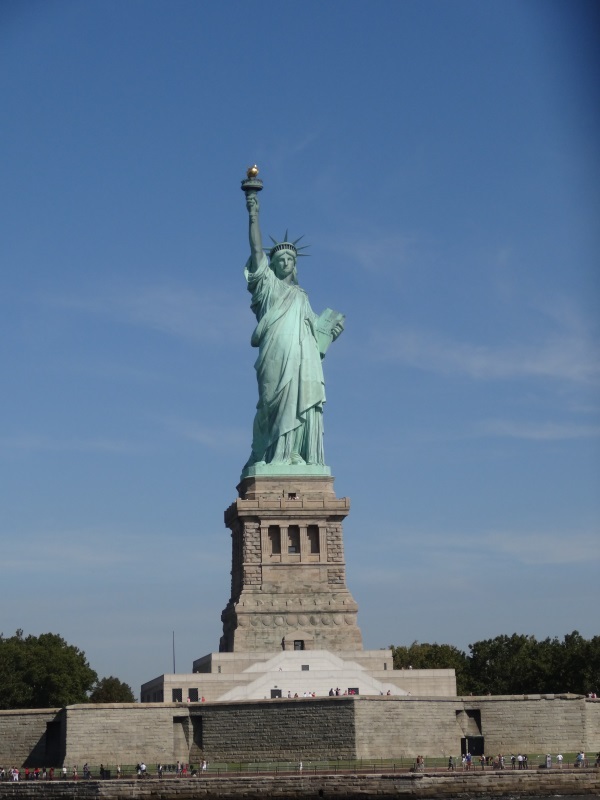 It’s very likely that your children’s ancestors, or at least immigrants from the same culture, floated past the Statue and then passed through the halls of Ellis Island. Last fall, local sports fans were treated to the first season of semi-pro football in New York City. The Brooklyn Bolts went an impressive 4-0 and featured players who went on to join the rosters of many NFL teams. The Bolts kick off their second season on October 2nd at MCU Park in Coney Island. Scents of apples and pumpkins are in the air. And that means Halloween will creep up in front of you just before you know it. But before the ghosts and ghouls come out to play, there are lots of theatrical events to enjoy around NYC. This week, we’re returning to the New Victory Theater and Symphony Space. Both venues are back for the Fall season with a new lineup of kid-friendly shows. 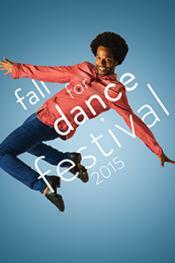 In addition to stage plays and comedies, we’ll also enjoy the Fall for Dance festival. Here is the week ahead. Hope the Pope and the POTUS like food because NYC is serving up quite a lot of it this weekend. The Brooklyn Botanic Garden is hosting the Chile Pepper Festival on Saturday. The NYC Dumpling Festival takes place also on Saturday in the Lower East Side. Festa D'Italia is taking place all weekend long in Staten Island featuring not only food and entertainment but an exotic Italian car and motorbike show. Also taking place on Saturday, at the Brooklyn Bridge Park is the Autumn Moon Festival featuring the reaping of rice and wheat with traditional food and entertainment to celebrate the harvest. On Sunday Lefferts Historic House is also celebrating the harvest and harvesting, cooking and eating potatoes from their garden. Here are this weekend's picks. In the blink of an eye, September has seemingly come and gone. This is the last full week of the month, giving you more reason than ever to check out some of the seasonal events going on this week in NYC. From a Chile Pepper Festival to the World’s Maker Faire, this reason is stacked with opportunities to get outside and meet other families in the community. If the hot peppers don’t grab your attention, you can also enjoy biking, art and relaxation on Governor’s Island for the last time in 2015. That’s right, all good things come to a close. Here is the week ahead.